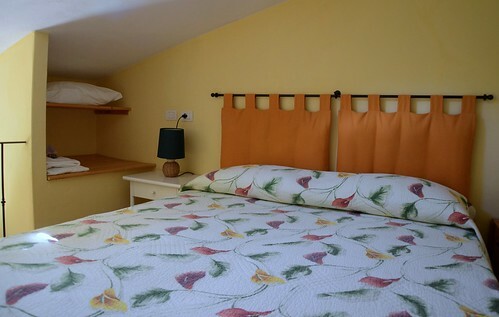 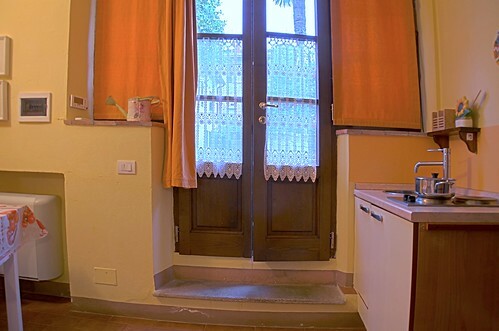 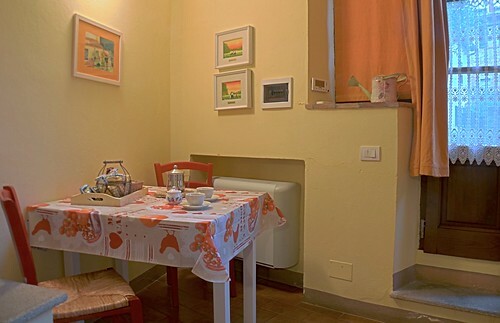 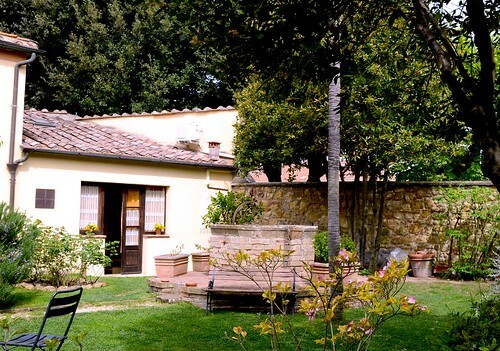 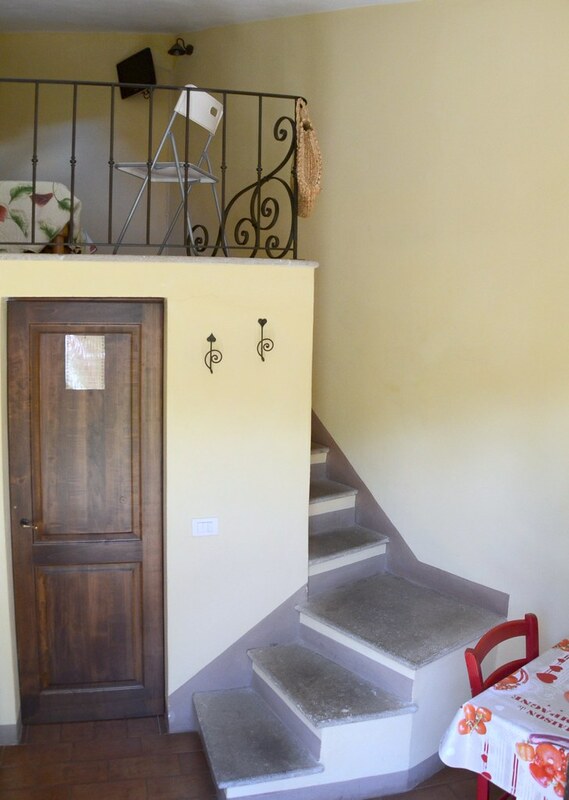 It is a lovely studio apartment, furnished in a fresh and simple style, characterized by a typical mezzanine floor with a double bed connected by an inner staircase. 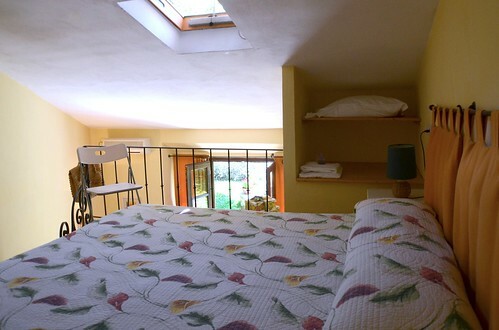 The small living room downstairs looks onto the garden through a French window. 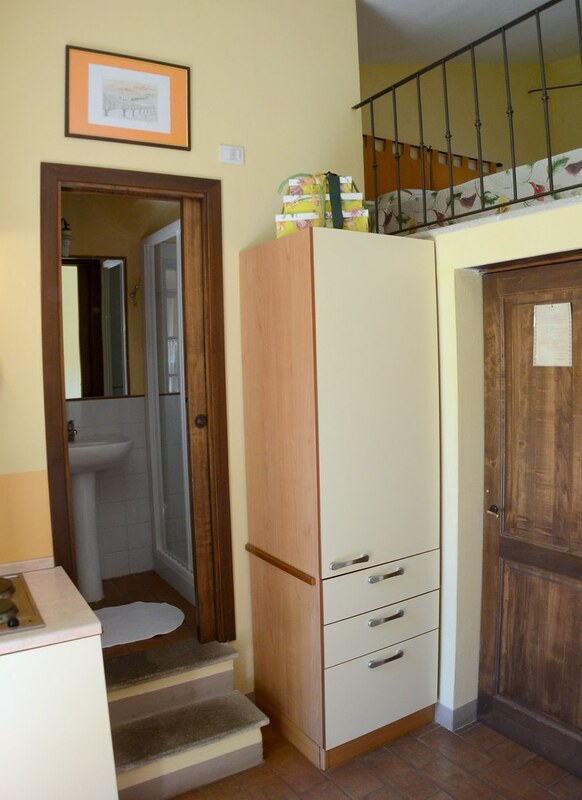 It has fridge and cooking area with electric cookers. Shower room and independent heating.